As someone who is responsible for managing and growing a business built on developing and providing Customer Relationship Management (CRM) software to membership organisations, I’m able to spot trends, patterns and potential issues impacting on this sector as and when they arise. It is from this vantage point that something has become clear to me over recent months, which, if left ignored by membership organisations, could see them facing a crisis. Quite simply, membership organisations aren’t doing enough to secure their own future by cultivating the next generation of members. Why? Because they are not communicating with their young membership demographic in a way that that demographic wants to be communicated with. This realisation was further crystallised when, during my recent keynote speech at the Professional Associations Research Network’s (PARN) spring conference, I revealed that the average age of a member is 52 years old; a revelation that was met with surprise, if not all out astonishment. 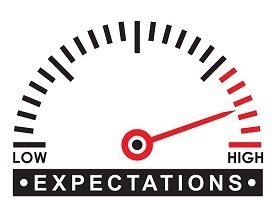 Ironically, society as a whole is quick to pin the hopes and dreams of a better future on young people: politicians spend vast amounts of time and money on ways in which to engage them; businesses see the opportunity in training them; the education sector would be lost without them. Isn’t it a little risky, then, that when it comes to the future of membership organisations, most seem to look no further than the generation that makes up the majority of their current membership? Having been fortunate to work with a vast number of high profile membership organisations, there is no doubt that they are adept at creating member value and delivering business efficiency. However, there is certainly a question mark over whether or not they are thinking long-term in the context of communication preferences and buying habits of an audience that is getting younger and younger – and farther and farther away from 52. According to a report by Barclays entitled Talking About My Generation: Exploring the Benefits Engagement Challenge, if we skip way back before Generation Z, Y and X, even before the baby boomers to those born pre-1945 (known as the maturists), we know that their method of communication was a formal letter, their signature product a car. The baby boomers of 1945 – 1960 had the telephone and television. Generation X, my generation, saw the advent of the PC and a preference to communicate via email and text message. This evolution continued with Generation Y who also favoured texts but who also began using social media as it made its way into the mainstream. Of course, this saw the tablet and smartphone become commonplace. Now, with Generation Z, handheld communication devices are de rigueur. Yet, whilst technology has moved forward in line with the demands of evolving generational attitudes, I would argue that membership organisations haven’t embraced these changes and integrated them within their own membership strategies. For instance, is your organisation still texting and emailing members who are increasingly leaving text and email behind? Do you or your team spend hours trying to establish the ‘email of the week’ or a disproportionate amount of time on finalising the monthly newsletter at the expense of other, more innovative and potentially more favourable communications channels? If so, then how can you be sure that your membership engagement strategies are effective? More importantly, what are you doing to ensure that your membership continues to attract and stay relevant to Generations Y and Z when those who make up your average demographic of 52 eventually drop off? If your communication strategy is built around the communication preferences of Generation X, which many are, then it could be time to revaluate your current approach and consider futureproofing your organisation and the membership that underpins it. The Barclays report was interesting not just for the generational comparisons it offered us from the perspective of communication mediums, but it also gave us food for thought in the context of the message, too. For example, those who make up Generation Y are digitally fluent yet view technology as a means to an end, are ardent learners and, unlike the preceding generation, which is loyal to the profession its in, are digital entrepreneurs. Yet despite limitless access to information, they are looking for help with applying the content they can easily glean from the Internet to real world situations. Increasingly, it would seem that Generations X and Y, which are expected to make up 50 per cent of the global population and 75 per cent of the workforce by 2025, are less concerned with receiving emails and newsletters and more interested in being supported, mentored and connected in a real and personal way. If your membership strategy is based on a one-way flow of information as opposed to a two-way, interactive approach, or if the messages you communicate as part of your communications strategy are not resonating with a large section of your members, then you need to question the longevity and sustainability of your current approach. Finding out the specific wants and needs of a rapidly changing membership demographic is down to the organisations themselves; we simply make it work in a real and practical way. However – and ironically, given the scale and potential negative fallout of this challenge if left unchecked – the engagement challenge represents the biggest opportunity for membership organisations. Not merely because there is a huge segment of untapped potential if you or your organisation are relying on one or two channels to communicate with your audience, with little appreciation of how other generations operate, but also because addressing these issues provides an opportunity for your organisation to gain competitive advantage. Whether this involves repositioning your membership programme as a mentorship programme, for example, or simply increasing the size of your communications toolbox by harnessing other, more popular channels of communication such as specific apps and social platform mediums, I cannot say; what you need to do will depend on the needs of your organisation and its members. However, I’m certain of one thing, and that’s that standardising your membership engagement strategy on a one-size-fits-all basis may not only hinder the efforts of your organisation in its quest for improved membership engagement, but kill it off completely. As a CRM-led company, Silverbear’s expertise lies in integrating the channels and technology, such as Microsoft Dynamics Social Engagement and Microsoft Dynamics Flow, which enable membership organisations to effectively communicate with their members. Built on Microsoft Dynamics 365, Silverbear’s solutions enable its clients to enjoy an open, secure, familiar and scalable IT platform that can integrate into pretty much all areas of a business operation; now and in the future. They also facilitate greater membership interaction, which leads to greater membership insight. 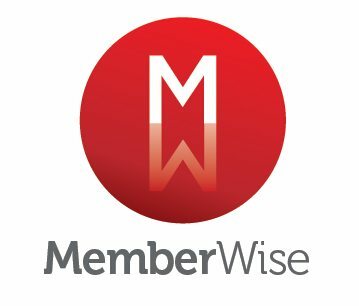 Click here to watch this article’s author, Carl Grieves, and Lee Adams, Managing Director at Cantarus, explain why they’re supporting Memberwise’s MV2025 project – an initiative that provides membership and association professionals with help and advice to enable member value to be addressed in a more structured and robust manner. For more information on Silverbear visit www.silverbear.com.